Kidney stones are hard masses made of minerals and acid salts that form from highly-concentrated crystals. Kidney stones cause abdominal, back, and groin pain, fever, chills, and painful urination. Apple cider vinegar (or ACV) is formed by the fermentation of apples and is commonly used as a natural treatment for many skin conditions and ailments. ACV is also great at treating kidney stones and the associated pain. Is ACV Good for Kidney Stones? ACV contains citric acid which softens and dissolves kidney stones. It acts as an effective internal cleanser that flushes the kidney to remove the formed stones. ACV has an alkalizing effect on blood and urine, helpingdigestion better break down and remove kidney stones. It aids the overall digestive process by stimulating the production of hydrochloric acid. This prevents the formation of new kidney stones. ACV is highly acidic in nature and balances the body by dissolving the crystals that form into stones. ACV has acetic and phosphoric acids which completely dissolve or reduce the size of kidney stones, allowing them to pass freely. It also reduces or eliminates the pain caused by kidney stones. The following methods are popular and effective at ridding kidney stones. Try any of these methods to prevent kidney stones and the associated pain. Note: Always use raw, organic, extra virgin, unfiltered, unpasteurized apple cider vinegar containing Mother. Bragg is a great, organic brand which yields better results. Mix 2 tablespoons ACV and 6 – 8 ounces of fresh water. Drink the solution frequently throughout the day before meals to dissolve and clear the kidney stones from the body. After the stones have passed, continue drinking the solution 1 – 2 times weekly to prevent the formation of new stones. Mix a teaspoon of ACV and 2 teaspoons of raw honey. Drink the mixture frequently throughout the day. Repeat daily until you experience relief from the kidney stones. Or Mix 2 tablespoons of Bragg apple cider vinegar and a teaspoon of honey in lukewarm water. Drink this once or twice a day. Heat equal quantities of ACV and water in a pan until warm. Soak a clean washcloth in the solution for a few seconds. Wring to remove the excess water. Place on the painful areas until the washcloth cools. Repeat twice daily until you experience relief from the kidney stones. Kidney stones only occur in an acidic environment. Baking soda alkalizes the body quickly and removes acid. Mix 1 ounce of ACV and 1/2 teaspoon of baking soda in a large glass of water. After, the solution has stopped fizzing, drink gradually over a 30-minute time span. Repeat three times daily until you experience relief from the kidney stones. Note: Add a squirt of honey for added results. Lemon contains citric acid that prevents kidney stones by decreasing the acidity in urine. Mix 2 ounces of each organic olive oil and organic lemon juice. Drink the mixture, followed by 12 ounces of purified water. After 30 minutes, mix 12 ounces of water with freshly-squeezed ½ lemon juice and a tablespoon of ACV. Repeat hourly until you experience relief from the kidney stones. Mix 2 tablespoons of ACV and coconut oil with 16 ounces of warm water. Drink regularly to prevent new kidney stone formations. Alternately take ACV in tablet or capsule form containing Mother. Avoid ACV if suffering from an underlying medical condition. Always consult a physician before addingACV to your daily diet. If suffering from gout, using ACV will reduce uric acid crystals causing pain and inflammation. Directly drinking undiluted ACV may burn the throat and cause stomach problems. Drink large quantities of water and small quantities of fruit juices to stay hydrated. Failure to do this will irritate the throat and decrease tooth enamel. Consume a tablespoon of ACV daily or use it as a salad dressing or condiment. Use a heating pad or hot water bottle to ease kidney stone pain. Have you tried any of these methods? Do you know any other home remedies to treat kidney stones like parsley? Share your experience with us! I noticed the pain in my side from a kidney stone, stuck in the kidney still. I been drinking 2Tbsp braggs acv in 8oz of water three times a day. Today will be day 3 of doing this. Hoping it will get rid of it before the horrible pain starts! So did it work? I have 3 stones and am wondering if anyone has had success with ACV? Hey Juliet, what is the amount of each do you take,. 1 tablespoon acv, 1 tablespoon olive oil, 1 tablespoon lemon? Or a teaspoon of each? Twice a day? Everyday? I read today on FB about another friend of mine that recently suffered from kidney stones. I thought that I might again share what has worked for me to keep kidney stones away. I am not a doctor and I don’t play one on TV, but if this information helps just one person it will be worth me posting it. For a guy, I have pretty high pain tolerance but kidney stones are very, very painful and I would not wish one on my worst enemy. Here is my story and hopefully it helps you, a loved one or a friend of yours! I use to get kidney stones a few times a year for many years and my youngest sister use to get them at least once a month. We both had multiple hospital stays and procedures. I did all the stuff the doctors told me to do – including drinking gallons of water every day. My sister even took a special medication that was supposed to help – but both of us continued to get the stones! I did some research on my own and started taking a tablespoon of Bragg Apple Cider Vinegar 2-3 times a day followed by a glass of water. I have not had a kidney stone in over 2 years!!! I told my sister what was working for me and recommended that she try the ACV. She has not had a kidney stone in almost a year! Good luck and God bless to those who suffer from painful kidney stones! Thanks for sharing, Steve. I had kidney stones twice and went for shock wave. Now, there are kidney stones in my kidney again. I will try this natural remedy. I too have suffered from kidney stones. I was in the country Colombia, and I had a bout with stones, ending up in the emergency room. I had a CAT scan done and it showed 7 stones in my right kidney. I started the ritual of drinking a tablespoon with a glass of water prior to eating each meal. When I returned to the States, I made an appointment with my Urologist. Low and behold, all my stones were gone. I too have suffered from kidney stones. I was in the country Colombia, and I had a bout with stones, ending up in the emergency room. I had a CAT scan done and it showed 7 stones in my right kidney. I started the ritual of drinking a tablespoon with a glass of water prior to eating each meal. When I returned to the States, I made an appointment with my Urologist. Low and behold, all my stones were gone! I should have continued taking it because I have stones once again. Here I come Bragg Apple Cider Vinegar. I will be drinking this the next several days until I pass/resolve them. Then I will continue taking three times a week for maintenance. Is there any research regarding whether apple cider vinegar will dissolve both uric acid stones and calcium oxcalate stones?? yes,,mix apple cider vinegar organic with mother and baking soda with water..it dissolves them and they come out easily without pain..u might get some blood or clots prior but then this remedy gets the job done.. I am trying it out with absolute faith given the chemical sense it makes. I am sure this will work. I already feel better. Also please get an ultrasound done to know the size of the stone followed by advice from a qualified doctor as well to avoid excruciating midnight pains. ACV takes some time to work. Thanks for your tips and don’t forget to share your experience with us. i also wanted to try it.. 2pcs hir, and the biggest is 0.6cm..back pain really hurts..
Let us know your experience after trying ACV. I had 11mm sized kidney stones . I have taken Acv with mother 3 bottles but not dissolved the stones. What do I ? Suggest plz. !!. What if your kidneys hurt after drinking about 1 tbsp of braggs apple cider vinegar? We recommend to dilute with water, which should make you feel normal. If diluted ACV too causing hurt then we recommend to try lemon juice. However lemon juice is not as effective as ACV. is it true that acv can flush kidney stone?i consulted from sjzhospital in china online ang they said that acv is too acidic that bad for the kidney,,my husband has a kidney stone and his taking acv for a couple of months.now i doubt if it is true. The citric acid present in ACV softens and dissolves the kidney stones. It doesn’t harm your kidneys. I had a neighbor for over 15 years, he used to get horrible kidney stones. When he would get them, and he used to quite a bit, he walked hunched over like he was a very old man. He started drinking ACV everyday…he still does, he DOES NOT get the stones anymore. If you get these you are more prone, therefore you need to keep the regimen up.. He swears by it, I watched how he did not get them anymore, or if he did he had no idea. Very confusing, the opposing suggestions. ACV is an acid, baking soda is a base. And method 4, where you mix the two? Mixing those two things causes fizzing, and leaves you with neither an acid or base, but a salt (vinegar and baking soda combine to form salt water). Hooey. When apple cider vinegar (acid) and baking soda (base) is combined it becomes alkaline. Alkalization decreases the acidity level, helps to break down the stones and formation environment in kidneys. The acetic and phosphoric acids present in apple cider vinegar soften and dissolve the size of kidney stones. Apart from using acv, you have to drink plenty of water. Will ACV still work if my stones are still in my kidney? Yes, it will help. After from trying remedies with apple cider vinegar, drink lots of water and avoid calcium rich foods. I have stone of 13mm will acv work to reduce size of stone?? As you have 13mm stone it is difficult to reduce it with home remedies. It is better to consult a doctor and follow as he prescribes. Don’t drink water after drinking diluted apple cider vinegar. If you are not able to withstand the taste then gulp a very small amount of the water. Does this work on Uric acid kidney stones? 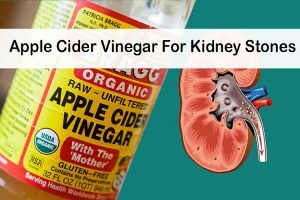 Yes, apple cider vinegar provides relief from uric acid kidney stones as well. Is there any specific brand of ACV to take? Most of my research in the internet shows Bragg (with the mother brand). However i found Spectrum (with the mother-organic,raw,unpasteurized) brand in near supermarket. Is this brand OK? If apple cider vinegar is raw, unpasteurized, organic and has mother element in it, then brand is not a problem. You can choose any one. I had two kidney stone one 9 mm in Kidney and other one is of 7 mm in ureter Can ACV alone with plenty of water be able to remove. Please guide. As doctor has advised for operation. Which I want to avoid. As per your description, we recommend you to go with what doctor has advised. As apple cider vinegar cannot completely shrink kidney stones of size 9 mm and 7 mm. After operation, you can use apple cider vinegar regularly to avoid formation of kidney stones in future. What are my chances of dissolving a 4mm stone in the right kidney? You can use home remedies like lemon juice, apple cider vinegar to dissolve a 4mm stones in the kidney. Apart from trying out the remedies, you have to drink plenty of water, avoid foods rich in calcium and oxalate, include foods rich in vitamin B6, A and C, magnesium. Thanks for that. What are the general success rates in apple cider vinegar, as the doctors want to do surgery to remove the stone. Ultrasound of the kidney, MRI of the abdomen or abdominal CT scan is generally required to determine the presence of kidney stones. How long should Intake AVC for beofre expecting to see results on a 4mm stone? No, it doesn’t. It works in removing a stone of maximum 4mm. You can try apple cider vinegar methods to prevent the formation of stones in future. I have high cholesterol and kidney Stone.can acv help me? IS THIS WORK FOR CRYSTELS DEPOSITS IN KIDNEY ??? Yes, it can. The citric acid and alkalizing effect of apple cider vinegar soften the deposits and let them pass out freely through urine. Avoid ibuprofen. It seems to cause kidney stones. Can I take Capsules for kidney stone rlief. Yes, you can take acv in capsule form for kidney stone relief. For proper dosage as per your medicinal history, please consult a doctor. Will this work if the stone is 6mm? How long till I see results? No, it works only for up to 4mm of stone. You can take diluted apple cider vinegar to prevent further formation of kidney stones. Does this affect other medications you may be taking, metformin 1000mg, atorvastatin calcium 40mg, lisinopril 20mg. 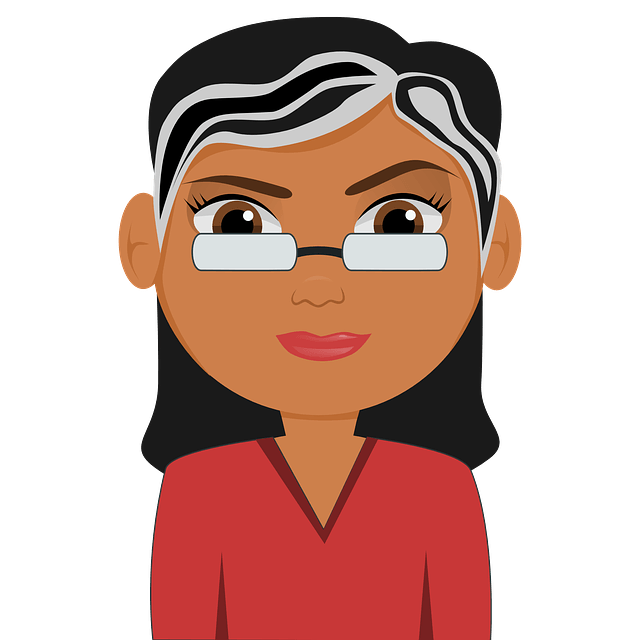 Could the atorvastatin be causing kidney stones? Apple cider vinegar can interact with certain medications, so consult your doctor to know whether you can consume it or not. In some cases, atorvastatin can lead to kidney stones, so if you think it is forming stones in your kidneys then talk to your doctor regarding it. If this doesn’t work, you could always try Chanca Piedra. I am not sure if it would help do both at the same time, but it might. Chanca Piedra is supposed to break up kidney stones and make them easier to pass. You can read the reviews on Amazon. If I had an 11mm kidney stone, I would try both or just go to a dr and let them break them up. Urologist Doc said to drink 1 gallon of filtered water per day. I have a 6 mm stone & she said 50/50 chances of passing it. Hey I sure can try this vinegar, lemon & honey for salad dressing. I do not want that surgery. Thanks for this info.! Does that means that i use the same mixture through out the day or i make new mixture every time i need to drink ACV during the day? Because that will increase the ACV intake which is suppose to be 10 ml everyday. Please reply to clarify the doubt. You can drink up to 6 tablespoons of apple cider vinegar in a day. Prepare the solution every time with 2 tablespoons of ACV 3 times in a day. Apart from that you have to drink plenty of water and avoid calcium rich foods like spinach, tomatoes and others until the stone dissolves. I have all the symptoms of a kidney stone but it didn’t show up on the ct scan. I am really hurting and have blood in my urine. Could the stone just not show up for some reason. Would it be ok to dring the acv mixed with water ? You can drink ACV mixed with water to reduce the pain and other symptoms. Try it regularly for few days. If you don’t get any relief then consult a doctor again and get diagnosed. 4mm stone can be removed using apple cider vinegar. However 11mm stone is difficult to remove through home remedies. We recommend consulting a doctor and ask him some medicines which can shrink the stone instead of operation. Apart from that you can drink apple cider vinegar or lemon juice daily to remove 4mm stone and prevent stone formation in future. I began struggling with kidney stones about 3 years ago. This week I got another one and just sort of resigned myself to a coming week of pain and various discomforts. The day I began having pain was the day I tried Bragg’s ACV for the first time, for other issues I’ve been experiencing. I took it as a 1 oz shot just before bed and then immediately brushed my teeth to get rid of the taste — nasty! BUT the next morning the kidney stone was gone. GONE!! The ACV was the only thing it could have been. It just straight up dissolved the kidney stone. I can’t even believe it. I’ve been taking 1 oz per day for the past 3 days and am noticing other beneficial results as well. But honestly, if all it did was prevent kidney stones, I’d keep taking it just for that alone. YMMV, but for me it feels like a miracle. And I don’t use that word lightly. Amazing Deborah 🙂 Great motivation .YMMV , what is the full form? YMMV means your mileage may vary. So depending on your situation, you results may vary. Try any method mentioned above in the article for at least 1 – 2 months to flush out the kidney stone. Consume lemonade or 1 teaspoon of honey to remove the bitter taste. You can add 1 teaspoon of apple cider vinegar into 8 ounces of water and drink it before each meal daily. You can repeat the process after removing the stone as well to prevent further formation. Apart from this method, we have mentioned various methods as well in the above article. You can try any one as per your convenience and preference. Nope, honey is added to improve the taste because some people cannot withstand the taste of apple cider vinegar. We recommend adding equal amounts of olive oil into freshly squeezed lemon juice. Drink this mixture daily on an empty stomach for 2 weeks to pass the stone freely. hi i have multiple stones(10 to 15 stones, size max 5mm ) in both kidneys, also am taking cystone tablets, Can u please give me any tips to flush out all the stones. Try 2nd method mentioned above in the article. Apart from that drink plenty of water and avoid calcium rich foods. My dad had kidney stones that were the size of a golf ball. My mom used ACV and Honey and gave it to my dad 2 times a day and it helped to break down the stones and he passed the stones pain free. Hey linda, that means its 8mm more of the size? Hello admin Have a good day. I am reallly worried about father’s health cause he has 9mm kidney stone in his right side . I want to help him dissolve the stone that’s why I search and brought me here.We went to the doctor this year and it was really a hard time for our family cause the doctor advice that he should undergo surgery ,what we worried is he has diabetic which can trigger when he undergo a surgery, I wanna help father about his condition .Is it possible that ACV can still dissolve the 9mm kidney stone size ? Cause I really wanna try this remedy and if possible how to use it and what food should he avoid while taking ACV? .He dislike sour but I want him to try this method. Right now he is taking herbal which mother made ror him and it helps a little bit but i think the stone is still here.Im looking forward for your answer. Thanks and Gbu! 9mm stone is not possible to shrink with apple cider vinegar. We recommend avoiding oxalate or calcium rich foods to prevent any further complications. Let him drink lemon juice and olive oil mixture daily on an empty stomach. This will help to prevent formation of kidney stones and may help with present stone as well but the results are not guaranteed. Thank you soo much admin for the response , highly appreciated. I already bought an ACV I wanna try it to father with honey cause I saw Linda’s experience about his father who had a golf ball size of kidney stone .. I wanna try it admin. We don’t know maybe there will be a miracle. Thank you so much , I wanna follow u,but I wanna let father try the ACV. My son aged 11 years has 17 mm stone in one kidney, but never pain or any symptoms, only he has puss cells in his urine, i had tried many homeopathic, and other vedic medicines, but there is no effect. Recently in his urine, has 15 to 20 puss cells. Now i brought apple cider from grossory store and starts one spoon + one cup of water daily. As he is child, is this safe and in how much time it will cure and is one spoon is ok. It from last three years, there is no problem him, only puss cells are in his urine. I work out heavily eat healthy and it turns out said diet has given me kidney stones! (All the foods I eat apparently are culprits, I cut out all junk food 2+yrs ago now I eat high protein red meat, poultry, eggs, whey drink, low carb, low sugar, broccoli, spinach, etc) Been dealing with kidney stones since June 2017. Just passed 3.5mm stone yesterday after 12 hours of torture to go with the collection! Im now taking tablespoon ACV with water 3X a day with a green grape(1) chaser (blah). When is best time to take it, should you do it on empty stomach? How long should you wait to eat after taking it? Couple things, you need to stop eating so much red meat, and spinach. Both of those are prone for creating kidney stones. Any food high in oxalates, stop eating. Now to your questions, the best time to take is on empty stomach and then case with 8 oz’s of purified water. Take it 15 to 30 minutes prior to eating for best results. Best to you!